Andrew Lieman is a third year student at Grinnell College double-majoring in Psychology and Economics. The American eugenics movement that was at its height in the early 1900s is largely seen as having lost most of its influence after WWII due to its association with Nazis and the Holocaust. However, such large movements do not simply completely disappear with no resistance. I sought to study how American eugenics movement reacted to its increased unpopularity after WWII in order to survive. In examining this issue, I must be careful to not create too strict a dichotomy of pre-WWII and post-WWII eugenicist advocacy, as many eugenics practices that may have become more popular after WWII still had their roots in the heyday of the eugenics movement. The eugenics movement survived after WWII more by adapting its messaging and targets than by changing the methods it advocated. To examine how the American eugenics movement changed after WWII, we must first examine its impact and arguments before then. In April of 1907, the first state sterilization law passed in Indiana. It required compulsory sterilization for criminals and imbeciles deemed incurable by a specifically appointed panel of doctors. Over the next six years, twelve more states passed similar laws. Even before WWII some eugenics advocates were forced to adapt their arguments due to significant resistance. For these early sterilization laws, legal challenges were the greatest threat. In 1917 when testifying in a case reviewing a New York sterilization law, Charles Davenport and Bleeker Van Wagenen, two prominent eugenics advocates of the period, presented views far more tempered than they had in the past. While both had previously supported forced sterilization, in court Davenport instead advocated segregation and Van Wagenen advocated sterilization when consent could be obtained. These toned-down positions were likely because they expected the law to be struck down under the Equal Protection clause as several similar laws had in other states . Although that law was struck down, ten years later the United States Supreme Court in Buck v. Bell upheld the Virginia sterilization law 8 to 1 which led to existing and future sterilization laws facing less legal resistance . After this ruling, the number of states with sterilization laws targeted towards the institutionalized nearly doubled . Although forced sterilization is likely one of the most salient methods of the eugenics movement due its violent nature, less aggressive methods than sterilization did exist and were advocated for by popular eugenicists. Some eugenics advocates like Margaret Sanger, head of the American Birth Control League, supported increased access to birth control so that birth rates of immigrants and the poor would decrease to match or be less than that of the superior middle and upper classes. Others, however, thought that a better approach would be preventing upper classes from using birth control . However, by 1940, the disagreement had lessened to the extent that Henry Fairchild, president of the American Eugenics Society, said that birth control and eugenics “have come to such a thorough understanding and have drawn so close together to be almost indistinguishable” . In addition to negative eugenics like sterilization and birth control that reduce the number of children of those seen as unfit, positive eugenics methods that encouraged those seen as fit (largely middle and upper class white people) to have more children also existed. In 1935 Ellsworth Huntington, president of the American Eugenics Society, stated that the middle and upper classes were not having enough children to replace themselves and needed to be encouraged to increase their reproductive rates. Education campaigns involving public lectures and public school curriculum changes were an increasingly used method to accomplish this in the 1930s . 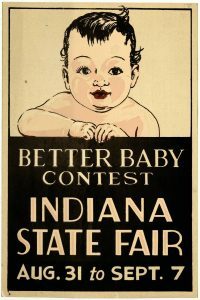 Another popular positive eugenics method were baby contests which provided examples of good genetics. These contests were not only popular with white communities, but also African American ones. From 1925 to 1934, the NAACP under the direction of W.E.B. 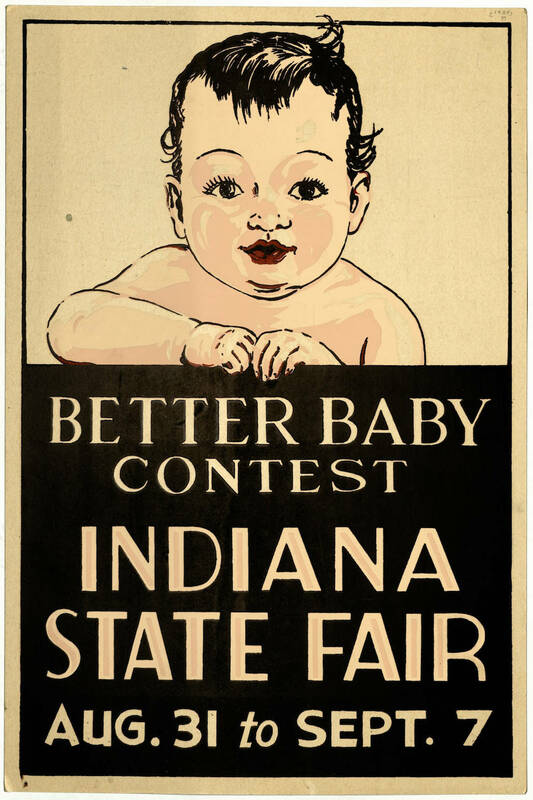 Du Bois ran baby contests for fundraising purposes . It is also important to note that during the heyday of the eugenics movement before WWII, there was still much controversy about eugenics even among staunch eugenics advocates. For example, not all eugenics advocates were in agreement on what traits were important. Although many policies and individuals used race as an important factor, some prominent eugenicists like H.J. Muller thought it an unimportant trait. This does not mean that there were not things eugenicists of the period widely agreed upon though. For example, H.J. Muller said “that imbeciles should be sterilized is of course unquestionable” . When the United States joined WWII, sterilizations of “imbeciles” had to slow down regardless of how in agreement the eugenics community was about its importance. This decrease in sterilizations was not because America had immediately become disgusted with the practice being similar to that of Nazi Germany, but simply because many available surgeons that normally performed sterilizations were serving in the armed forces . Of course, after WWII as Nazi atrocities became more well known, American eugenicists were forced to widely denounced Nazis in order to distance their own practices from those that contributed to the Holocaust . Some eugenicists even tried to use WWII as a positive argument for eugenics based on the war showing a need for a strong military. One newspaper campaign by eugenics supporters in North Carolina attempted to use the recently ended war having military within the public consciousness by pointing out that over 10% of men were rejected from military service due to mental deficiency and that the government couldn’t waste money it needed for the defense budget on the mentally ill .
Denouncing Nazis and appealing to national defense were only a few immediate ways in which eugenicists sought to cleanse their branding of negative associations. In 1948, the American Society of Human Genetics founded and had high leadership crossover with the American Eugenics Society so it could easily be seen as an effort at rebranding. 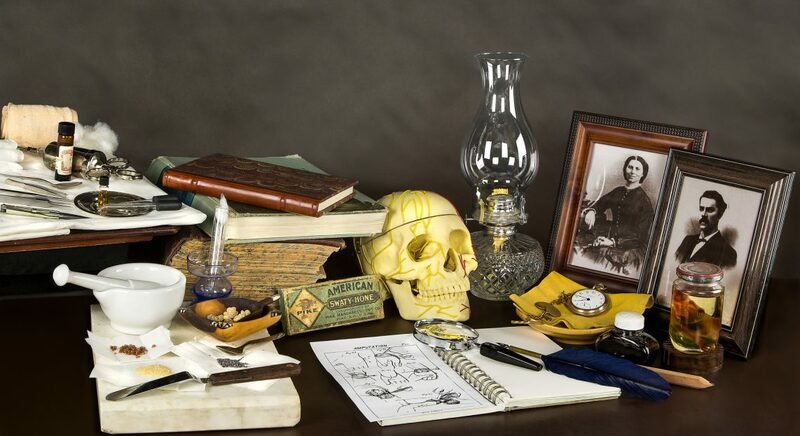 However, many human geneticists still described themselves as eugenicists, although some tried to distance themselves from older eugenics practices. For example, geneticist James Neel once in 1954 described his work as “new eugenics, where I define eugenics simply as a collection of policies designed to improve the genetic well-being of our species” . However, by the late 1960s, eugenics had become a toxic enough term that in 1968 Frederick Osborn, one of the founding members of the American Eugenics Society decades earlier, said that “eugenic goals are most likely to be attained under a name other than eugenics” . After WWII, eugenicists also changed who their main targets were for negative eugenics. One major difference was that geneticists were far less likely to stress race differences. This was not based on any new studies, as studies disproving race differences had already existed for decades . To some degree, this change had already begun in the previous decade, as evidenced by the words of Frederick Osborn in 1946 when he was president of the American Eugenics Society. He wrote that “The ten years, 1930 to 1940, marked a major change in eugenic thinking. Before 1930 eugenics had a racial and social class bias,” and that individual differences vastly overshadowed “any differences which might be discovered between the averages of the larger racial or social groups” . As more studies came out against various traits being hereditary, the targets of eugenics shifted even further. The argument that poor people would be unable to care for their children became a more popular justification for sterilization in the 1950s and 1960s. In North Carolina in the 1930s and 1940s, 60% of those sterilized were in mental institutions and 40% were non-institutionalized poor, but in the 1950s and 1960s, 70% of those sterilized were outside of mental institutions . One may think that the practice of forced sterilizations would have been dealt a heavy blow by associations with Nazi practices, but they were still performed for decades. Sterilizations in the 50s and 60s still continued but were often less visible. For example, at Faribult State Hospital in Minnesota between 1955 and 1960, over 50 patients (many of whom were classified as “mildly retarded” and not allowed to leave until the procedure was performed) were sterilized but no records were kept of the operations. It was not until the 70s that many states had outlawed involuntary sterilization for those labeled “retarded”, but even in 1985 there were still 19 states with laws allowing the practice. Although many legal scholars considered it settled that sterilization laws were unconstitutional, several still were upheld in court using cases that had never been overturned like Buck v. Bell as precedent . Even though the negative eugenics practice of sterilization waned over the decades after WWII, there were still new methods of positive eugenics being developed and used. For example, genetic and heredity counseling became a much larger focus of the American Eugenics Society in the 1950s with the practice being a significant focus of its journal that it had just begun publishing. Eugenicists had supported the practice before but saw it as less important than other eugenics measures. After ways to detect genetic disorders during pregnancy were discovered in the 1970s and Roe v. Wade protected abortion rights, genetic counseling became significantly more popular . Although by the 1970s there were some significant changes in eugenics methods, much of the changes that eugenics advocated made were based in messaging (like calling themselves human geneticists or saying they practiced “new” eugenics) or targeting (going after the poor instead of the institutionalized). So, while the eugenics movement clearly had to go through significant shifts after WWII, it clearly adapted successfully to some degree and did not simply die off. Philip Reilly, The Surgical Solution: A History of Involuntary Sterilization in the United States (Baltimore: Johns Hopkins University Press, 1991), 33, 39, 53-54. Elof Carlson, The Unfit: A History of a Bad Idea (Cold Spring Harbor, N.Y.: Cold Spring Harbor Laboratory Press, 2001), 248-254. Philip Reilly, The Surgical Solution: A History of Involuntary Sterilization in the United States (Baltimore: Johns Hopkins University Press, 1991), 87. Diane Paul, Controlling Human Heredity: 1865 to the Present (Amherst, N.Y.: Humanity Books, 1995), 95-96. Wendy Kline, Building a Better Race: Gender, Sexuality, and Eugenics from the Turn of the Century to the Baby Boom (Berkeley: University of California Press, 2001), 132. Wendy Kline, Building a Better Race: Gender, Sexuality, and Eugenics from the Turn of the Century to the Baby Boom (Berkeley: University of California Press, 2001), 130. Paul Lombardo, A Century of Eugenics in America: From the Indiana Experiment to the Human Genome Era (Bloomington, IN. : Indiana University Press, 2011), 80. Diane Paul, Controlling Human Heredity: 1865 to the Present (Amherst, N.Y.: Humanity Books, 1995), 117. Philip Reilly, The Surgical Solution: A History of Involuntary Sterilization in the United States (Baltimore: Johns Hopkins University Press, 1991), 128. Diane Paul, Controlling Human Heredity: 1865 to the Present (Amherst, N.Y.: Humanity Books, 1995), 120. Paul Lombardo, A Century of Eugenics in America: From the Indiana Experiment to the Human Genome Era (Bloomington, IN. : Indiana University Press, 2011), 148. Diane Paul, Controlling Human Heredity: 1865 to the Present (Amherst, N.Y.: Humanity Books, 1995), 121, 124. Diane Paul, Controlling Human Heredity: 1865 to the Present (Amherst, N.Y.: Humanity Books, 1995), 132. Diane Paul, Controlling Human Heredity: 1865 to the Present (Amherst, N.Y.: Humanity Books, 1995), 114. Alexandra Stern, Eugenic Nation: Faults and Frontiers of Better Breeding in Modern America (University of California Press, 2016), 175. Paul Lombardo, A Century of Eugenics in America: From the Indiana Experiment to the Human Genome Era (Bloomington, IN. : Indiana University Press, 2011), 149-150. Philip Reilly, The Surgical Solution: A History of Involuntary Sterilization in the United States (Baltimore: Johns Hopkins University Press, 1991), 142, 148-152. Diane Paul, Controlling Human Heredity: 1865 to the Present (Amherst, N.Y.: Humanity Books, 1995), 123, 129. Daar, Judith. The New Eugenics: Selective Breeding in an Era of Reproductive Technologies. New Haven: Yale University Press, 2017. Gallagher, Nancy. Breeding Better Vermonters: The Eugenics Project in the Green Mountain State. Hanover, NH University Press of New England, 1999. Ordover, Nancy. American Eugenics: Race, Queer Anatomy, and the Science of Nationalism. London: University of Minnesota Press, 2003.